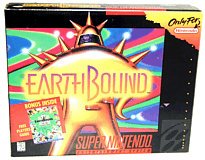 EarthBound carts still continue to sell in abundance and for high prices, but for a little less than last month. The guides have dropped in price a little, but because fewer guides sell there’ll always be bigger fluctuations than with the game. Alright, so the avg for an EB cart alone has gone through the roof. It’s insane. It’s… $167. What doesn’t make sense, though (and this is why I”m sending you a message), is why an EarthBound guide goes for an avg of $101. You’d think that the price would be higher for the guide, which is more rare, right? Well, it isn’t always about rarity – in my experience prices tend to be more about what’s in demand. It’s the same thing with Zelda II for the NES – the gray cartridge is rarer but everyone wants the gold one because it’s gold. In the case of EarthBound, more people want to play the game than have the guide, so the cart is in higher demand, resulting in higher prices. 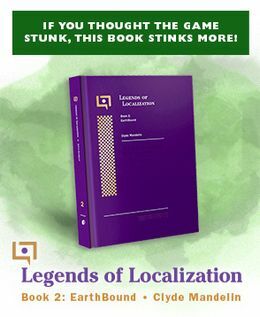 As always, I have lots of tips and info on buying EarthBound at buyearthbound.com, so check it out if you’re planning to buy any of the above anytime soon – you could save lots of money! Dang! $635 for CIB?!?!? If I couldnt find a box and insert, I was gonna get a CIB, but now I have second thoughts! I saw a $300 minty one on craigslist for $300 near me though, may have to get it. I just listed a bunch of rare Earthbound merch for sale on Ebay, just search for Earthbound promo and it should come up. Thanks! I find it hilarious that the cardboard standee set up in game stores to advertise Earthbound sells for almost ten times the price of the game itself. Midna, why’s that? It’s about 10,000x as rare. WHAT THE EARTHBOUND BUBBLE HAS BURST?! EVERYONE SELL YOUR CARTS NOW BEFORE THEY ARE WORTHLESS. Stevesesy, the games ALWAYS tend to go down in price this time of year… in fact, they tend to be their lowest during the summer and highest right around the holidays. yo man, ever heard of sarcasm? Maybe, but when worst comes to worst, you’re paying six figures for a cardboard cut-out instead of the actual game which you’d get a lot more enjoyment out of. You could make the same argument about the cart, since you could just download the game illegally and play it online. After all, the cart is just a piece of plastic. Trust me, the people who would drop six figures on the standee already own the game and have enjoyed it plenty. At the end of the day, people spend MUCH more money on MUCH stupider things. Look at all the stupid single people living in big Cities that drive gigantic SUVs for no reason. Yeah, the extra 20k sure was worth it.